Sometimes, despite all the planning and forethought put into organising a big event, a little extra help is needed. 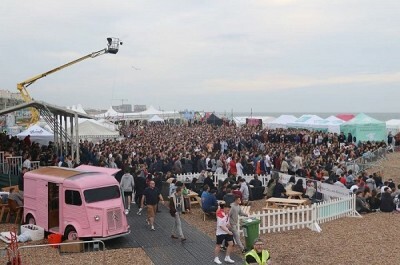 Such was the situation in Brighton this month as the Big Screen team prepared to entertain thousands of revelers at the annual film festival. The team realised at the last minute that additional ground protection was required to satisfy health and safety regulations so that partygoers could safely enjoy the fun and games taking place on the beach. With extremely short notice we arranged for a large delivery of MultiTrack ground protection boards to be sent to Brighton quickly, so that the event would not need to be cancelled. Click here to learn how MultiTrack can help your event too.